Another recall related to dog food was recently issued, adding to the growing list of dog food brands affected by elevated levels of vitamin D, according to the Food and Drug Administration. The specific brand affected by this latest recall is Elm Pet Foods and it’s “chicken and chickpea recipe dog foods.” Late last month, certain products from ANF Pet and Sunshine Mills were recalled under the “Evolve, Sportsman’s Pride and Triumph brands” due to elevated vitamin D levels as well. 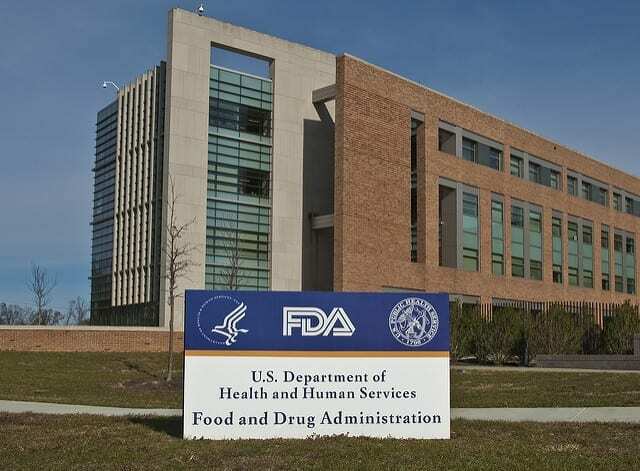 FDA Building 21 stands behind the sign at the campus’s main entrance and houses the Center for Drug Evaluation and Research; image by FDA, Public domain. For now, pet owners are being advised to either throw away or return the products for a refund.